The Key West Songwriters' Festival is the largest of its kind in the world, attracting musicians and music lovers from all over the world and offering singer-songwriter performances from sun up to sun down. The popular event features more than 100 top songwriters, 200 performers, and more than 50 shows staged over five days at more than 25 of Key West's most popular drinking holes and hot spots. During the festival, fans are introduced to the faces, voices, and stories behind the songs delivering rare "Key West-only" moments, including informal adaptations of Nashville's signature in-the-round acoustic showcases, while an event-capping street concert adds an enticing Mardis Gras feel to the mix. Venues featuring festival performers include Key West cornerstones of nighttime entertainment, such as Margaritaville, Sloppy Joes, the Green Parrot, the Smokin' Tuna Saloon, and more. Other venues include the historic San Carlos Institute and Tropic Cinema, which are often sold out in advance, and restaurants, resorts, lounges, and cafés in the area. Those fortunate enough to snag a ticket or squeeze into one of the free venues during the festival will hear the likes of Chris Young, the chart-topping country singer-songwriter who won the television competition Nashville Star in 2006; or, Robert Earl Keen, who was inducted into the Texas Heritage Songwriters Hall of Fame in 2012. The 2018 lineup will be announced closer to the festival. The Key West Songwriters' Festival is held annually at various venues throughout Key West in May of each year. Many of the more than 50 shows are free. Ticketed shows range from $30 to $49 at venues such as Key West Theatre, San Carlos Institute Theatre, Tropic Cinema and Fury Water Adventures Sunset Sail. Cover charges do sometimes apply. Visitors to the festival may purchase apparel, souvenirs, programs, posters and performer's CDs. Key West is less than a four-hour drive from Miami via the Overseas Highway. The scenic route, also known as the "highway that goes to sea," spans 113 miles and crosses 42 bridges. Access to the island is also available seasonally by Key West Express, a high-speed ferry, from either Fort Myers Beach or Marco Island. Those flying into the island will land at Key West International Airport and either rent a car or take a shuttle to your choice of overnight accommodations. There are a wide variety of accommodations in Key West, from private homes or condos to bed & breakfasts or hotels. If you are gay or lesbian and looking for a place to stay, choose from one of these Key West gay resorts and hotels recommended by our Gay Travel Expert, Andrew Collins. 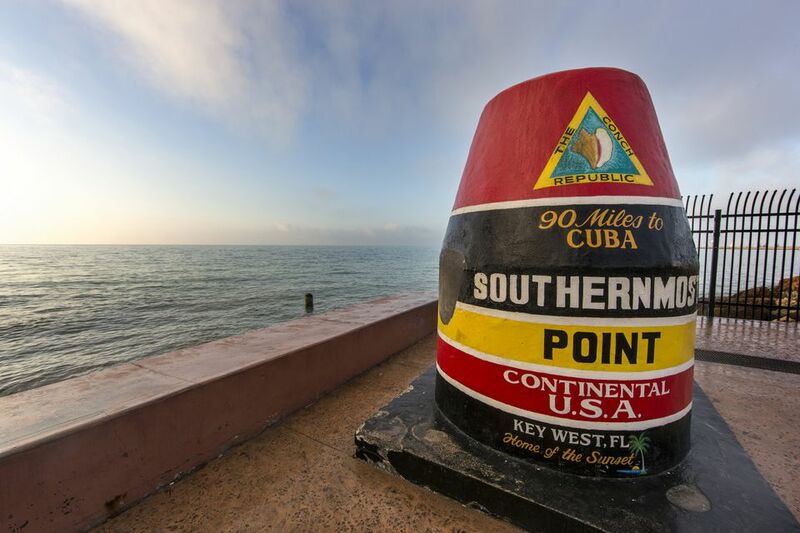 While in Key West, be sure to also check out some of the great attractions the city has to offer including the Dry Tortugas National Park, the Ernest Hemmingway House, and the southernmost point in the United States (marked off by a floating buoy). What Is It Like at Hawks Cay Resort in the Florida Keys? What Is the Weather Like in Key Largo Florida?